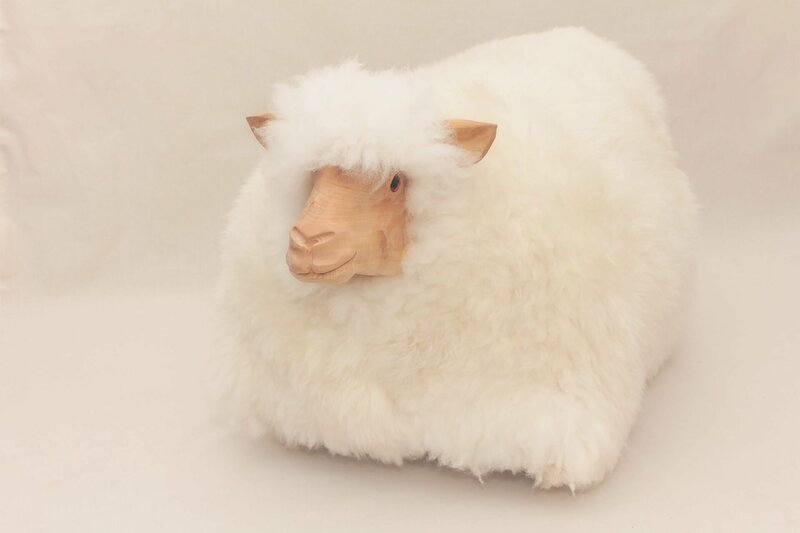 Stan the Ram is the largest sheep in the flock and stands at a comfortable seat height (doing homework and piano practice has never been such fun). A really substantial piece of furniture, he has beautiful wrought iron horns. 100 x 60cm x 25kg approx. These are designed as sofa footstools and are big enough to accomodate a whole family of feet. Ethel’s head is stained black to match Stan while Harriet is blonde with a natural waxed limewood finish. 100cm x 50cm x 22 kg approx. 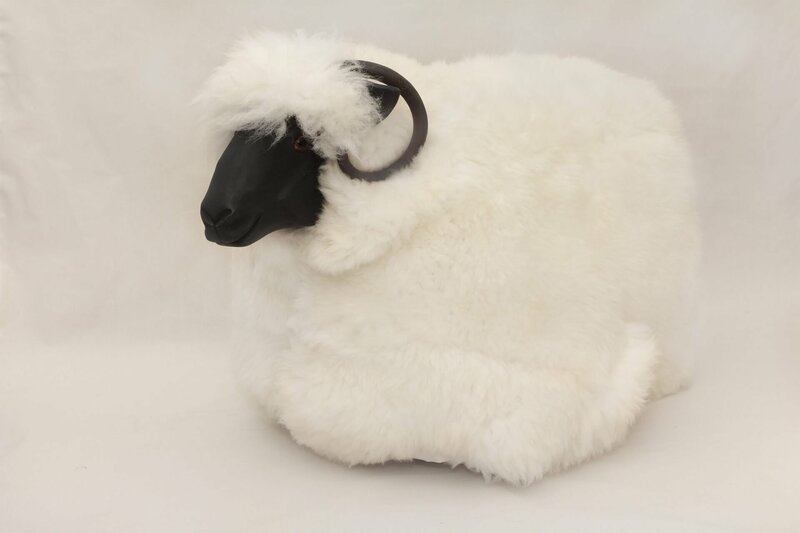 These are the most popular members of the flock and are luxurious individual footrests. Like Ethel and Harriet they are available in either the dark or natural finish. 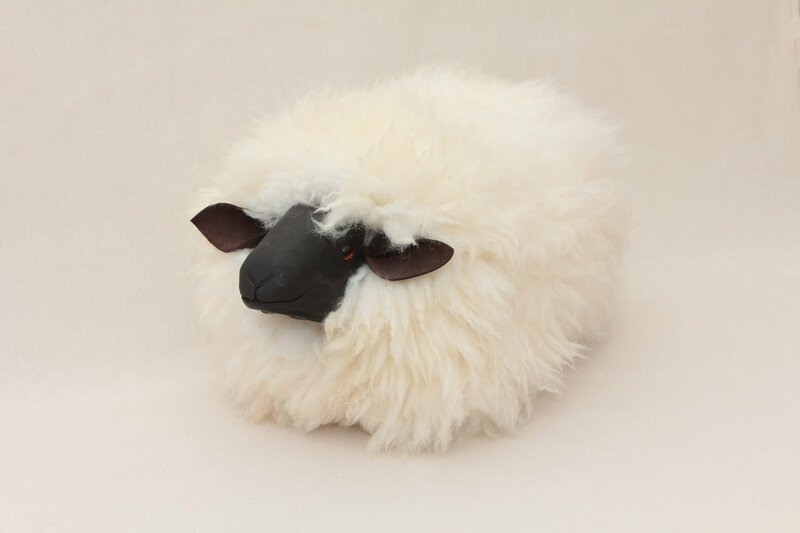 These are sometimes available in rare breed coats, contact Liz to see what is currently available. They can be personalised with an embroidered message, names and dates on the calico base. This requires a fortnight to process. 50cm x 25cm x 4kg approx.